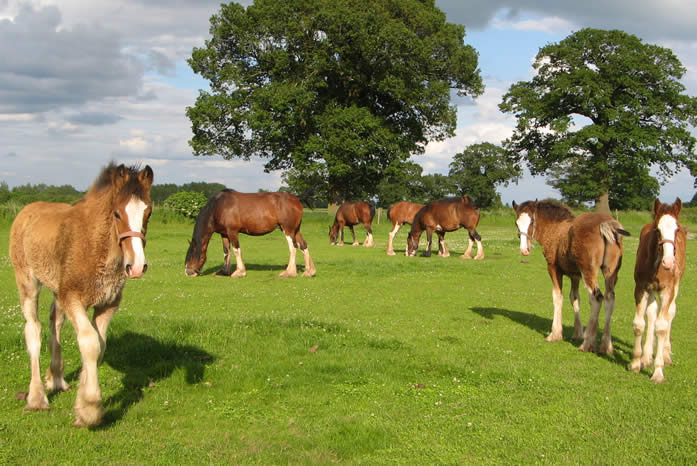 Cotebrook Shire Horse Centre is set in 50 acres in the heart of the beautiful Cheshire countryside, and offers everything for the perfect day out. Home of the internationally renowned Cotebrook Shire Horse Stud, Alistair King has been breeding champion Shires there for nearly 50 years and they form the centrepiece of the Centre with up to 25 horses at any time for you to meet. At Cotebrook Shire Horse Centre there is lots to see and do to make your visit interesting and enjoyable. You can learn all about the Shire horse, from its history carrying knights in armour to the important studwork today, ensuring the future of this magnificent breed. As well as the fabulous Shire horses there is a selection of British animals and birdlife both wild and domesticated including rare breeds. You can wander around the mile long Nature Trail to meet the horses further afield, explore the Wildlife Watch Trail, browse around the gift shop with its unique country gifts and souvenirs, then visit the Lakeside Cafe which offers light lunches and cream teas.